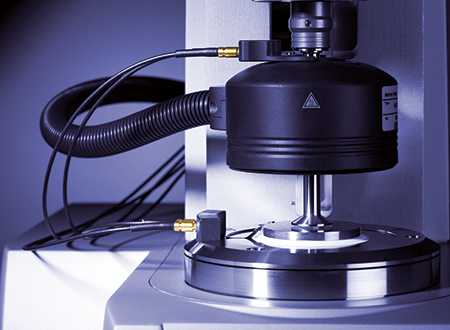 The Dielectro-Rheological Device (DRD) combines rheology (as a mechanical spectroscopy method) and dielectric spectroscopy. Dielectric spectroscopy is an investigation technique based on the study of a material’s response to an applied electric field. The electric current flowing through a sample as a response to an alternating electric field is measured as a function of the field frequency. The interpretation of the obtained dielectric spectrum provides information on the structure and behavior of the analyzed material. 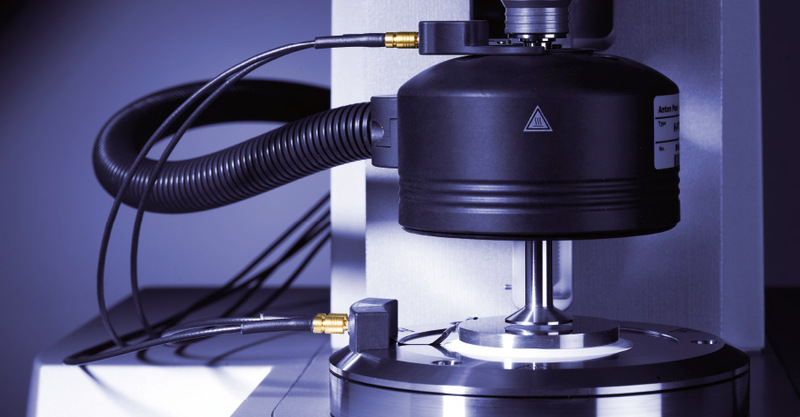 The DRD enables you to gain simultaneous measurement data from mechanical and dielectric spectroscopy. 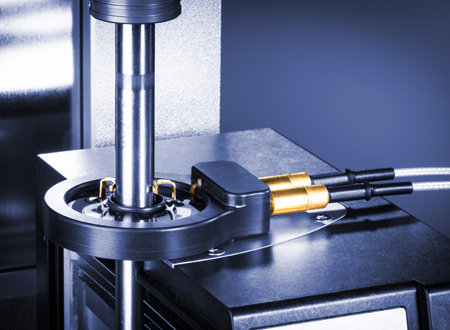 In addition to rheology, you can investigate the influence of mechanical deformation on the conductivity, capacity, and permittivity of the sample. 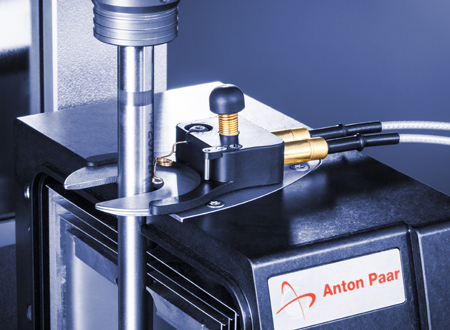 It extends the measuring capabilities of your MCR rheometer to an extended measurable frequency range. 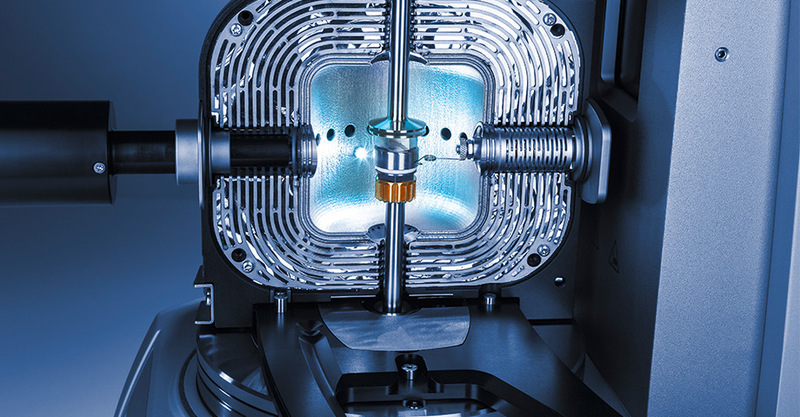 It is also possible to perform stand-alone dielectric measurements. 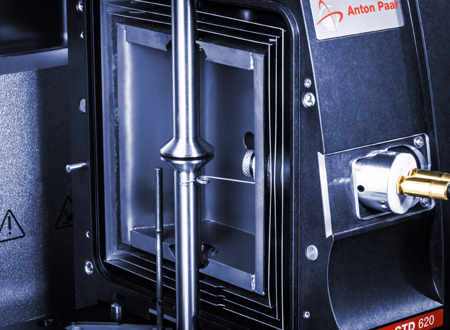 The combination of mechanical and dielectric spectroscopy allows deeper insights into your sample’s behavior, e.g. detecting and monitoring structural changes in curing materials or temperature-related phase transitions. Benefit from this additional information to master your application challenges. Typical samples and applications are filled polymers (e.g. an epoxy resin filled with carbon nanotubes) and polar materials (like PVA, PVC, PMMA). The DRD can easily be mounted to a convection temperature device (CTD) and is available for measurements in single-drive and TwinDrive mode. Various LCR meters can be combined depending on the required dielectric measurement range. It is even combinable with the Digital Eye Camera in the CTD to record real-time pictures and videos of the sample. The RheoCompass™ software ensures flexible test programming in rotation and oscillation mode and synchronizes the LCR meter of the DRD with the MCR via trigger impulse. Rheological and dielectric measurement data is displayed and analyzed in the software, including master curve generation. 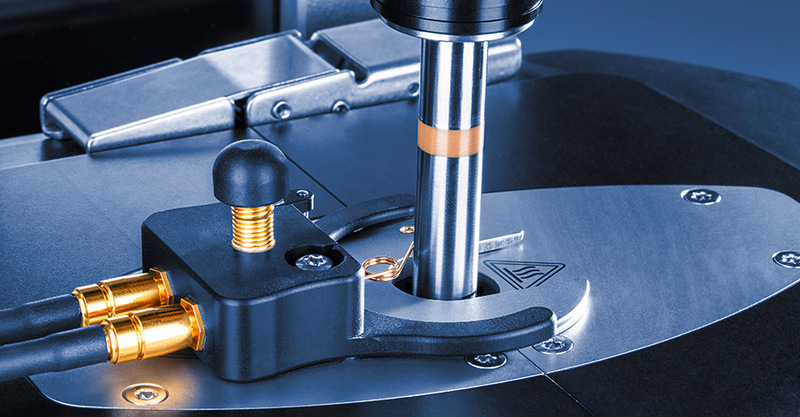 The patented Toolmaster™ feature automatically recognizes and configures all connected devices and measuring geometries.